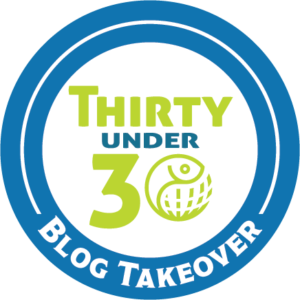 Editor’s note: The following is a guest blog post by one of GAA’s 30 Under 30 members, Noah Hamlish. Noah has extensive experience on farms, in research labs, and and at processing facilities. He is a strong advocate for aquaculture and credits his 12-month Watson Fellowship as being transformative to his understanding of the value and importance of aquaculture in feeding the world. 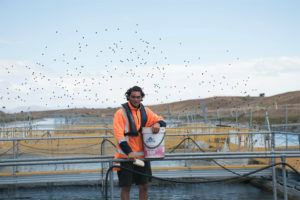 This is the fourth post in a five-part series by members of the 30 Under 30, in which Noah writes about what he views as the biggest challenge facing the aquaculture industry: its public image. Friends and family often ask me whether they should eat farmed fish and how to pick the right kind. Based on these frequent conversations, I’m always surprised by how little people know about the aquaculture industry. Things that seem second nature to me are completely unknown to the general public, revealing a huge knowledge gap between those in and outside the industry. Based on my own experiences as well what I read in the mainstream media, it’s clear that one of the biggest challenges facing the aquaculture industry is public perceptions of aquaculture. This knowledge gap also has a profound impact on the demand for and consumption of farmed fish, continued growth of the industry depends on our ability to effectively educate consumers on the benefits and value of aquaculture. Aquaculture is one of the fastest growing forms of food production in the world; but the industry remains largely misunderstood and, as a result, struggles with negative public perceptions and misinformation. While a significant percentage of the fish consumed in the U.S. comes from fish farms, U.S. consumers continue to believe that aquaculture cannot compete with wild catch fisheries. For many Americans, their only interaction with aquaculture is the occasional news story or the “farmed” label on the fish they buy at their local grocery store. American consumers have little exposure to fish farms and often don’t have the full picture of how aquaculture works. That said, even in countries with robust aquaculture industries, negative perceptions can be common. In Norway for example, the world’s largest producer of farmed salmon, local consumers often express concerns over the use of antibiotics on farms, even though Norwegian farming techniques have made antibiotics unnecessary during most farming seasons. Across the globe, consumers form opinions of the industry based on limited, and often inaccurate or outdated, information. For those who work in the industry, it’s clear that the blue revolution is well underway. The broad umbrella term “aquaculture” includes an astounding level of diversity that encompasses everything from boutique, hand-fed salmon for luxury export markets to semi-intensive tilapia cages that serve as a stable source of protein for local families. A robust research infrastructure supports modern aquaculture with advanced technology in fish biology, hydrochemistry, and ecology, making the industry poised to address some of our greatest challenges surrounding global food security. But news of these developments often stays within the aquaculture community; few people outside the industry have a good sense of the significant changes happening. One of the best ways to share how aquaculture works is through experimental and educational farms, giving consumers the opportunity to observe first-hand the benefits of fish farming. In Thailand, for example, royal experimental farms serve as a resource for local farmers to test new technologies, like biofloc, and as educational spaces where the public can see how a fish farm operates and learn about the benefits of emerging technologies. 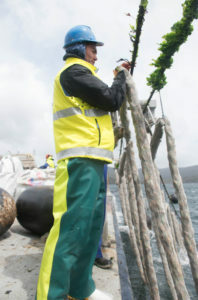 Norway has followed a similar path to familiarizing the public with fish farming. Although the government put a moratorium on new farms in the late 2000’s, experimental and educational farms are exempt from this restriction as long as they submit a clear plan for how they will engage the local community. The globalized aquaculture supply chain also offers numerous opportunities to engage with the public and address the knowledge gap that exists between farmers and consumers who are often on opposite sides of the world. Currently, many of the individuals who engage with consumers at the point of purchase, for example at grocery stores and restaurants, have very limited knowledge and do not have the expertise to respond to questions or address negative perceptions of fish farming. Providing education and training to the “middle man” can expand public understanding and increase demand. Well-informed waiters at restaurants or fishmongers at the grocery store can share stories of technological innovation and quality, giving consumers the knowledge they need to construct more informed opinions of the industry. For a small, expensive sub-group of farmed fish, this kind of transparency already exists, but by extending this transparency to include all of the species we farm and all of the various farming methods, we can increase support for fish farming and the demand for farmed fish. From the first earthen ponds and sea cages to modern aquaculture, we have completely redefined how the world consumes seafood. In many ways the shift from wild catch to aquaculture mirrors the move from hunter/gatherer to agricultural/pastoral lifestyles. It’s not unreasonable to expect consumers to be wary of such dramatic changes. Of course, the industry still faces challenges on the production side. More research into environmental impacts, especially in areas of eutrophication and escapee effects, is needed. But many farmers, researchers, NGOs, and government agencies are already committed to solving the problems at hand. Developing strategies to address public understanding can strengthen the industry and improve consumer support of aquaculture, allowing the industry to continue to grow in exciting new ways.